I would never encourage my children to be athletes - first because my children are not athletes and second because there are so many people pushing to get to the top in sports that 100 people are crushed for each one who breaks through. This is unfortunate. We don't genuinely need more literary geniuses. One can only read so many books in a lifetime. Standardization leads to rigidity, and rigidity causes things to break. 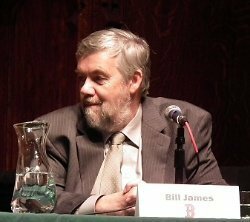 Bio: George William "Bill" James is an American baseball writer, historian, and statistician whose work has been widely influential. Since 1977, James has written more than two dozen books devoted to baseball history and statistics.